That's Highway 156 running south of San Juan Bautista. 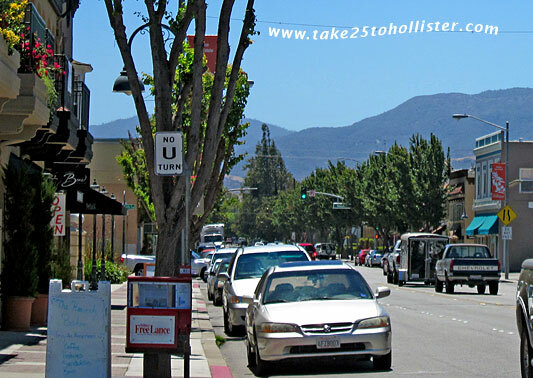 Just on the other side of those hills in the middle is Hollister. The towering mountain range is the southern end of the Diablo Range. If this was a normal weather year, everything would be looking green right now. Hopefully, the new year will bring us rain. 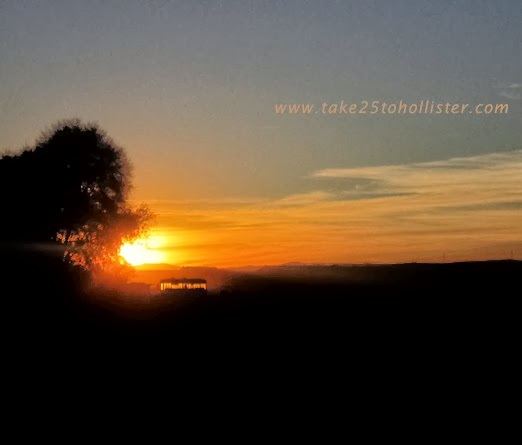 Happy New Year, Dear Take 25 to Hollister Readers! 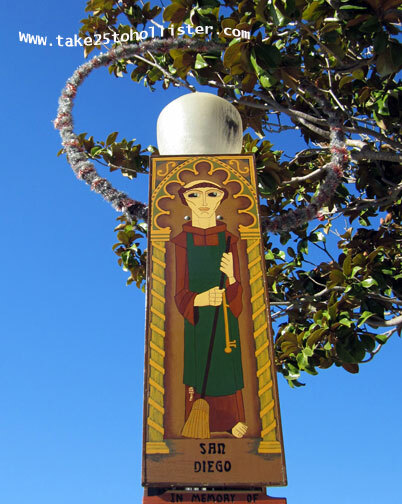 Looking for a 2014 calendar of San Benito County? How about a Su-sieee! Mac design? It's available at Zazzle.com. 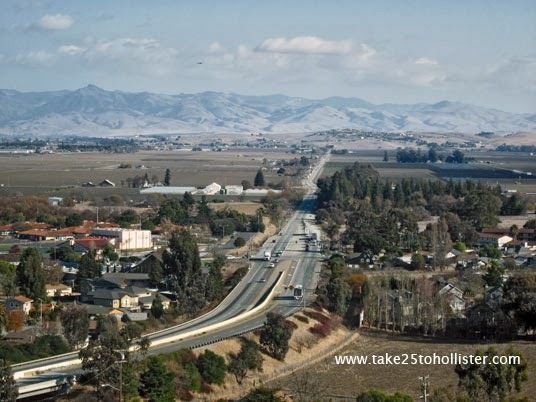 Click on the photo or link below to see San Benito County Landscapes at Zazzle. 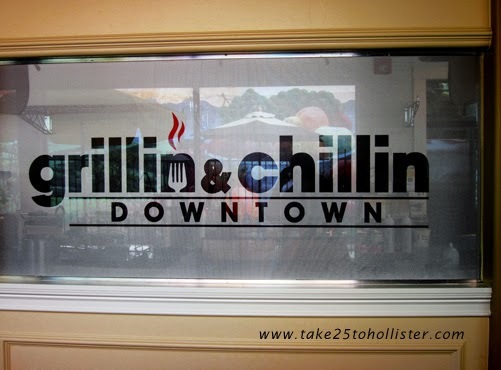 Two other designs are also available -- Downtown Hollister, California and The Clock Tower, Hollister, California. Use the code 2014NEWYEARS at check out to receive a 20.14% discount on any purchase you make at Zazzle. The offer is good until Friday, January 3, 2014 at 11:59 PST. P.S. The FCC requires me to tell you that I get a small royalty on every Su-sieee! Mac calendar that is sold. I'm participating in Skywatch Friday today. Click here to see the photos of other participants. 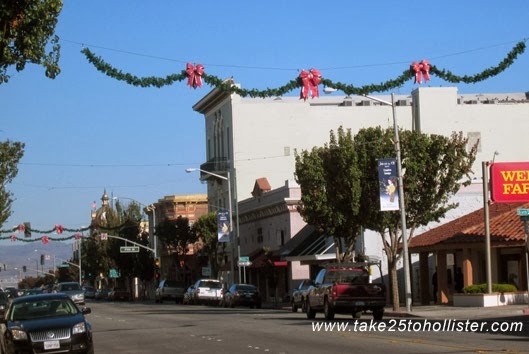 Looking for a 2014 calendar of San Benito County? How about a Su-sieee! Mac design? It's available at Zazzle.com. Click on the below to see it at Zazzle. 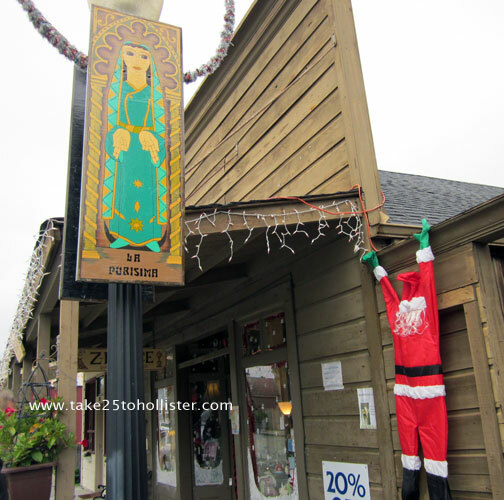 This Saturday, December 7, 2013, will be the Third Annual San Benito Holiday Cheer Shop Hop. 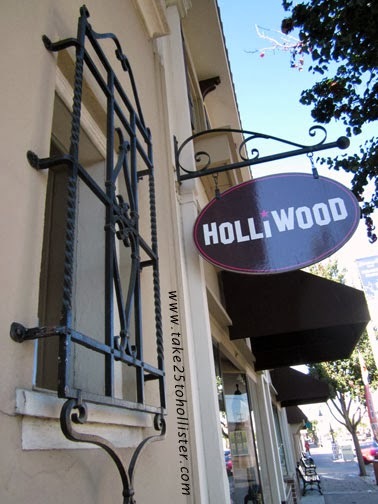 When you visit one of the following retail stores, galleries, salons, restaurants, grocery shops, or services in Aromas, Hollister, San Juan Bautista, or Tres Pinos, you can enter a raffle to win one of 26 gift baskets full of local products and gift certificates to local restaurants and businesses. Over 59 local organizations have contributed! You can enter at any—and all—of the following participating businesses that you visit this Saturday. Did I mention the raffle is free? The following artisans, not for profit groups, and services have also contributed to this year's holiday shop hop. Please note that they will not have raffle tickets for the 26 gift baskets. It was a huge turnout for this year's Lights On Celebration Parade, put on by the Hollister Downtown Association. Did you go? What was your favorite float? To see more photos of the parade, click here. 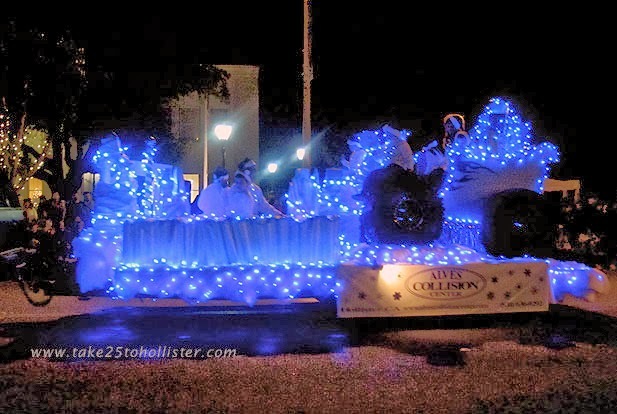 It will take you to the 2013 Lights On Celebration Parade album on Take 25 to Hollister's Facebook wall. You don't need to be be signed up to Facebook, or even be a member, to view the album.